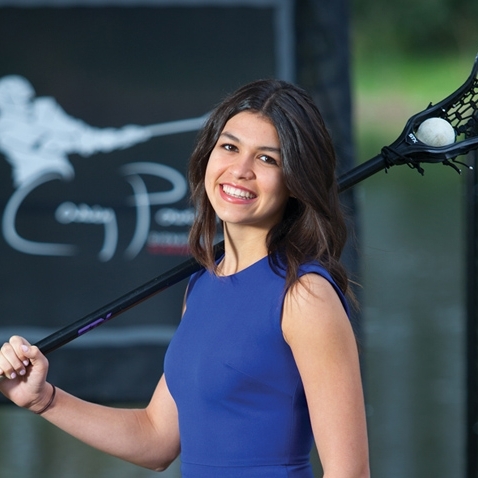 Rachel Zietz started her YEA business, Gladiator Lacrosse, and after pitching on ABC TV’s Shark Tank she surpassed $1M in sales. To create, build, and launch your own business, Young Entrepreneurs Academy of Baton Rouge is the foundation you've been waiting for. Young Entrepreneurs Academy of Baton Rouge (YEA BR) is an after-school program that teaches you how to start and run your own company. To identify your new business idea, instructors from the LSU E. J. Ourso College of Business help you connect your talents and interests to a business opportunity. Over the academic year, you will create a business plan, pitch to an investor panel for seed money, file your business with the Louisiana Secretary of State’s office, and launch your own company. Nationwide, over 9,000 students have launched more than 6,000 businesses and non-profits, cool inventions, and fun ideas. YEA students have been featured in national magazines, TV shows, on the news and in local papers. And it’s not only about business — YEA students are starting organizations that are doing everything from teaching English to students in foreign countries to reducing our carbon footprint. They are changing the world. Shreyas Parab founded NovelTie, a company that makes unique neckties, such as “stud muffin,” and “chick magnet,” using symbols, icons and words. He got the idea because his school requires boys to wear ties. “It’s something very few kids get to say, but, I am a small business owner,” says Parab, who participated in the YEA class hosted by National Association of Women Business Owners (NAWBO) of Greater Philadelphia. After being named a finalist in YEA’s Saunders Scholars Competition, Parab is preparing to head to Washington, DC to compete for up to $50,000 in college scholarship funding and business prize packages. If you were a 13-year-old lacrosse player who didn’t like the equipment on the market, what would you do? Well, if you were Rachel Zietz, you would start your own company. That company, Gladiator Lacrosse, was launched through YEA, and has surpassed $1 Million in sales. Brandon Boynton is a 2014 graduate of the Madison County Chamber of Commerce YEA class in Anderson, IN. Boynton is the CEO of MostBeastlyStudios LLC, a mobile applications development suite. While in the YEA program, Brandon focused on his flagship product, The BullyBøx, a mobile application that allows students to safely an anonymously report bullying in schools. The app empowers students by allowing them to report on a platform that is comfortable to them…their mobile devices. Since graduating from YEA, Boynton has been featured on CNBC and in several national publications. As a result of their momentum, MostBeastlyStudios has built additional apps across various mobile platforms. Not only has Boynton served on his local Chamber of Commerce, he was appointed to the U.S. Chamber of Commerce’s Small Business panel. He has also returned to YEA to serve as a mentor. Embark on your journey to success. Join YEA BR and see where the journey takes you. Let us answer your questions about the Academy and how to get involved. Need to email, print or share information about YEA BR?